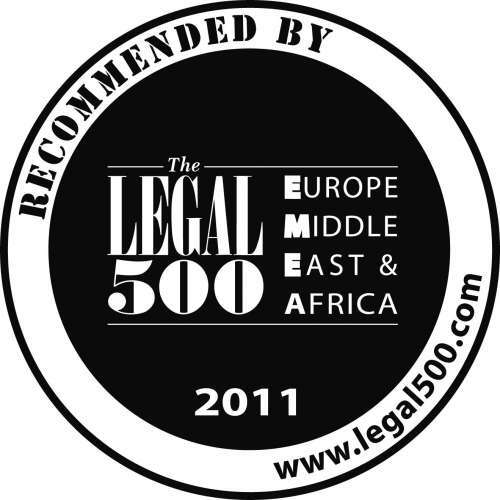 A new edition of Legal500 was published in April 2011. We are very pleased to inform you that once again both our law firm and individual experts have recommended in several categories. We would like to thank our clients for all their recommendations and referrals. Banking&Finance - Magdalena Skowrońska and Andrzej Foltyn. Please go to http://www.legal500.com for details of the Legal 500 recommendations. The Pharmaceutical and Biotechnology Team was honoured in the PLC ranking in the Life Sciences: regulatory category - http://whichlawyer.practicallaw.com. We are especially pleased as this is the first time we have been recommended in this practice area.